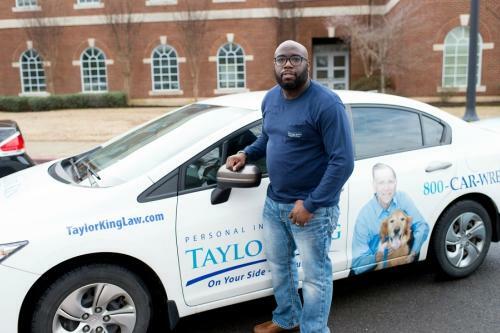 This July will mark Aadrian William’s 7th year with Taylor King Law, and his 7th year as an investigator at the firm. As an investigator, Aadrian travels the state of Arkansas to meet clients. When we asked his favorite place in Arkansas, he said, “anywhere there is a lake!” When not at work, Aadrian enjoys spending time with his family, hunting and fishing, creating music, and serving as a church musician. What’s the one thing Aadrian couldn’t live without? “My family.” He said he’s happiest when he’s with his wife, Nicole, and 2 sons, Christian and Tyler. FUN FACT: Aadrian ran a recorded 10.22 second 100 dash his senior year in high school, which is still today the fastest in Arkansas. Now that’s fast!